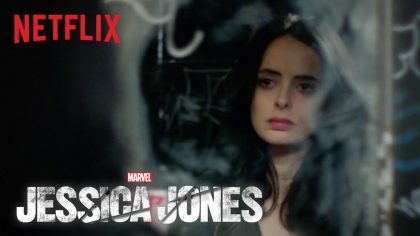 Watch the new trailer for the Netflix series, Marvel’s Jessica Jones, starring Krysten Ritter. ABC Family has revealed the teaser trailer for Shadowhunters, based on The Mortal Instruments series by Cassandra Clare. David Duchovny and Gillian Anderson reunite in the trailer for the next mind-bending chapter of The X-Files. Watch full episodes of Limitless online. Jake McDorman and Jennifer Carpenter star in the CBS series. Watch full episodes of Gotham online. Ben McKenzie and Donal Logue star in the Batman prequel TV series. Watch full episodes of ‘Empire’ online. Terrence Howard and Taraji P. Henson star in the music drama. Watch full episodes of NBC’s Heroes Reborn, starring Jack Coleman, Zachary Levi and Robbie Kay. Watch full episodes of the horror-comedy TV series, starring Emma Roberts, Skyler Samuels and Jaime Lee Curtis. Watch the trailer for Project Greenlight Season 4, executive-produced by Matt Damon and Ben Affleck. Watch full episodes of Lifetime’s UnREAL, a fictitious behind-the-scenes look into a reality dating show. Watch full episodes of ABC’s The Bachelorette online. Fan favorites Britt and Kaitlyn greet 25 potential suitors. Meagan Good, Stark Sands and Wilmer Valderrama star in Fox’s new sci-fi drama Minority Report. Based on the hit movie 'Uncle Buck', Mike Epps stars as a fun loving but irresponsible guy who needs a job and a place to stay.